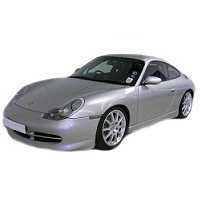 Custom tailor made car cover for the Porsche 996 sportsfrom 1997-2004 With No Rear Spoiler. This cover comes in its own handy case andfully tailor made including door mirror pockets. When you have decided on the cover you need, simply change the boxes below to the correct type of car cover for your Porsche 996. Arrived very quickly. Fits a little tight but then that's a good thing and all nicely finished off including the bag.